Over the many months and pay cycles since the downturn in 2014, Texas’ oil and gas industry has seen one bad headline after another. The state has witnessed major bankruptcies, repeated rounds of workforce downsizing, aborted mergers, endemic rig stacking, and a political inquisition to criminalize unapproved thoughts on climate change. There are signs; however, that the worst may be over and the gradual recovery could be arriving earlier than forecast. The Saudis’ supply of stockpiled oil is now in its fifth month of decline. Saudi Arabia, the world’s largest exporter of oil, has reached its lowest level of stockpiled product in 18 months, according to Bloomberg. The kingdom’s latest data from March reflected 296.7 million barrels, down from an October 2015 peak for 329.4 million. The nation kept production relatively flat since January and continues to press for daily production caps from all member nations of the Organization of Petroleum Exporting Countries (OPEC), but faces serious pushback from an emboldened Iran. Looking further abroad, Goldman Sachs Group Inc. notes that the larger market has fallen into a supply deficit a full quarter earlier than expected, according to a separate Bloomberg report. In Nigeria alone, production has been slashed 30 percent due to violent attacks on its pipeline infrastructure. Closer to home, rampant wildfires near Canadian oil sands facilities have caused an extended shutdown, slowing production by one million barrels per day. The variety of global supply issues has shown a real impact on the value of West Texas Intermediate crude on the New York Mercantile Exchange. The commodity has risen 75 percent since the February low, according to Bloomberg. Putting aside these promising figures, a view of changing global demand draws a clearer picture as to why the recovery is coming earlier than expected. India is seeing natural refining disruptions while China is slowing down on stockpiling. India poses a double-sided opportunity for the global market. While it’s no secret the southern Asian nation’s economy continues to diversify as consumer spending increases and goods transportation infrastructure improves, an added layer of natural resource scarcity has led three of the largest corporations there to pivot toward imports, the Houston Chronicle reported. Water shortages in the southern region have forced refinery shutdowns at plants capable of processing 3 million metric tons daily. As a result, India is bringing in more diesel now than over the past three years combined, while 4 million barrels of crude arrive each day. Local analysts hope that a considerable monsoon season lasting from June to September eases demand on imports. Although China maintains a policy of not disclosing how much oil it places into strategic reserves, it is clear that the fourth largest producer is both stockpiling and importing at rates higher than previous market forecasts– yet are showing emergent signs of slowing, according to Reuters. China historically socks away imports in a buyer’s market and is quick to leave when prices show a steady rise that the Communist regime deems lasting. Whereas official figures are practically unavailable, Thomson Reuters Oil Research and Forecasts has noted that a drop in imports appears to be occurring between April and May. Data from the summer months will further verify if there is reason to be optimistic for continued improving valuation of the commodity. At home, Wall Street is betting big on domestic producers. 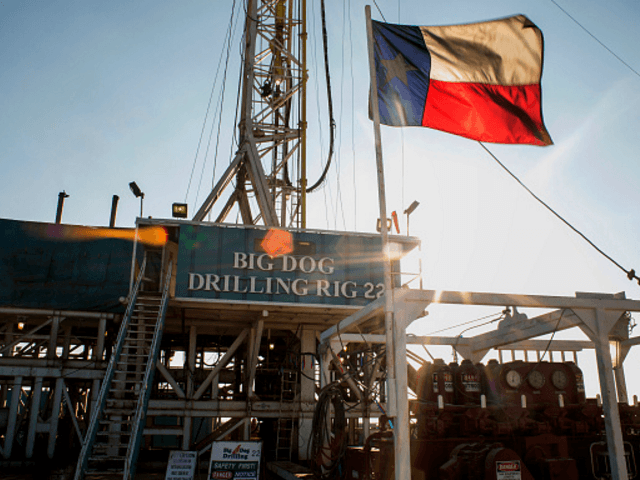 In 2016, investors have bet $13 billion on American oil and gas companies as Goldman Sachs predicts that oil will return to $50 per barrel in the summer months. Domestic producers could see up to $20 billion raised in stock sales – a much needed boost in a time of growing bankruptcies across the state. A Bloomberg report has credited the protracted international supply disruptions as a key driver for the “rebalancing” of the market at home. But don’t get too confident just yet. Setting aside the motley collection of indicators signaling recovery, serious, interdependent factors continue to risk holding the price of oil down. In light of the Iran Nuclear Deal inked by the Obama Administration that removed certain sanctions keeping the Islamic nation’s production capabilities at bay, a previous Breitbart Texas report notes that daily exports have quickly surpassed expectations. Tehran hopes to achieve 4 million barrels of daily exports in the near future and has expressed that it will not entertain a production cap with OPEC before then. Meanwhile, the global cartel continues to fail to forge an agreement to set daily supply rates without a unanimous decision – a position enforced by Saudi Arabia. The Wall Street Journal reports that the kingdom’s new oil minister, Prince Mohammed bin Salman, is not one to inspire production limits by unilateral action.